Our business grew quickly. Just over a decade later, it was (in terms of year-round labor) 2–3 times the average size of most companies in our industry. But this growth took its toll. The business absorbed so much of my life that I had to stop kickboxing, and because my work is largely seasonal (most of it happens in summer), it was harder to spend time with my kids. Within the business itself, we were dealing with serious saturation issues. The main problem was employee engagement. Every time we’d get up to a saturation point (with more work than we could manage), we’d implode. The staff would give me a lot of “yeah” answers: “Yeah, yeah, yeah, we’ll do that.” But they didn’t really want or plan to do it; they just said “yeah” because they felt they had to. I didn’t want employees engaging like that. I wanted them engaging because they really believed in the process. I thought this was all because of me—that I wasn’t a good leader for my team. The combination of pressures inside and outside the business made running the day-to-day even more difficult. As a result, I got more stressed out and started leaning on unhealthy habits, like drinking too much. I remember taking vacations where I’d work on my business and regroup, and I wouldn’t drink because I was happy. But then I’d come home and fall right back into the habit. I felt like I couldn’t focus on what I truly needed to do. I was getting in my own way and I wanted things to change. I needed new strategies for my business. After reading The E-Myth Revisited, I felt that EMyth could help. My Coach, Rachel Clark, changed everything. She told me that I needed to keep growing and couldn’t be stagnant. After that, I really started focusing on the business, growing as an individual and not accepting less than what I needed from anybody, either at work or in my life. Most importantly, I learned ways to let go of the business, escape the day-to-day, and become more of a leader. My sister has been a big part of this change. She’d already been working with me, but recently started taking more initiative to own the managerial position. She’s great at it because she’s great at supervising people, and she’s more detail-oriented than I am. I’d tried to let go of the business a bit before, but the people I’d put in that role were never in it for the right reasons. Now I’m confident that she’s the person to take it on, and I’m excited to pass on what I’ve learned to her. Having to be in the company every day has always hindered my entrepreneurial drive, but now I have all of this freedom to think clearly, develop as a leader in the community, and to do the things I’m passionate about. I also changed my schedule significantly this last year. Financially, the business isn’t seeing the rewards it used to because I’m not putting in the hours I used to, but I’m okay making this sacrifice in order to live the life I want. I know I can make money from Creative Concrete—but if it’s not fulfilling, it’s not worth it. Working with EMyth has been a transformative process, not only for my business but for my life. Throughout the EMyth process, I’ve been working on myself and what makes me happy, but I know that someone can’t just come into the business and do what I’ve been doing daily. Since I started coaching, I’ve made a commitment to myself to be healthier, and for the first time in nine years, I’m able to focus on what I love doing: I’m competitively kickboxing again, I’m involved in leadership speaking, I’m focusing on my family, and I’ve put a plan together for a new business; I’m taking all that I’ve learned from the EMyth journey and moving into the next phase of my life. 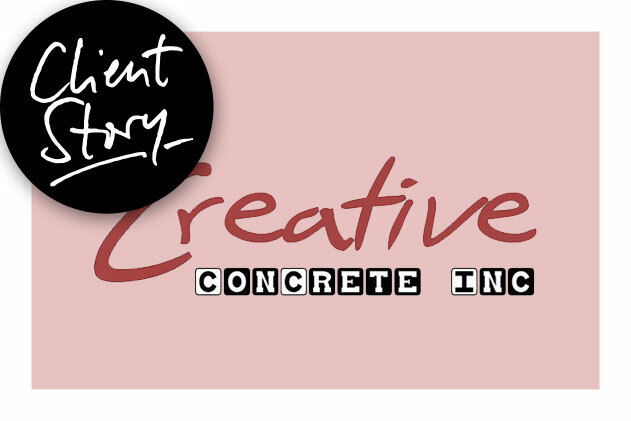 Learn more about Luke Spicer and Creative Concrete.